Good morning 🙂 Happy Thursday! Today, Shoppers Drug Mart Canada has a great Seniors’ Bonus Day! Seniors save 20% plus get 8000 Shoppers Optimum Bonus Points with a purchase of $50 or more on almost anything in-store. This Shoppers Drug Mart offer is valid in-store today, Thursday, December 22, 2016 only. Discounts apply to the Shoppers Drug Mart regular prices on all merchandise purchased by seniors and their accompanying family members with a valid Shoppers Optimum Card! PLUS, We have exclusive access to the Shoppers Drug Mart Canada Boxing Day flyer for 2016! 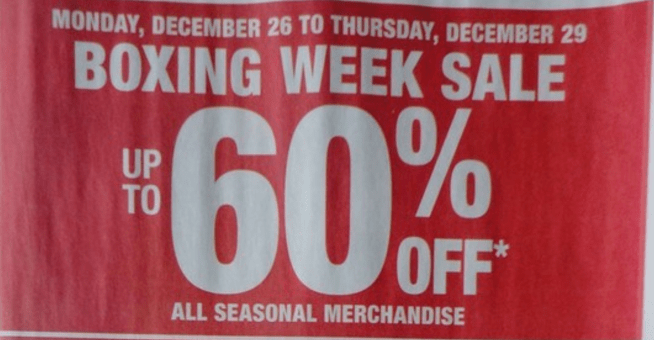 This Shoppers Drug Mart Boxing Week flyer is valid from December 26th to 29th, 2016. Click here to view Shoppers Drug Mart Canada Boxing Week 2016 flyers. Anyone knows if you can combine this 8000 pt with digital coupon? i.e. I have digital coupon of 10000 pt when you spend $50. Will I get 18000 in total?